I just got finished installing the BOE brake cage and took it for the first test drive. I wanted to add a little more detail to the product because I think it is a lot cooler then they have made it out to be. 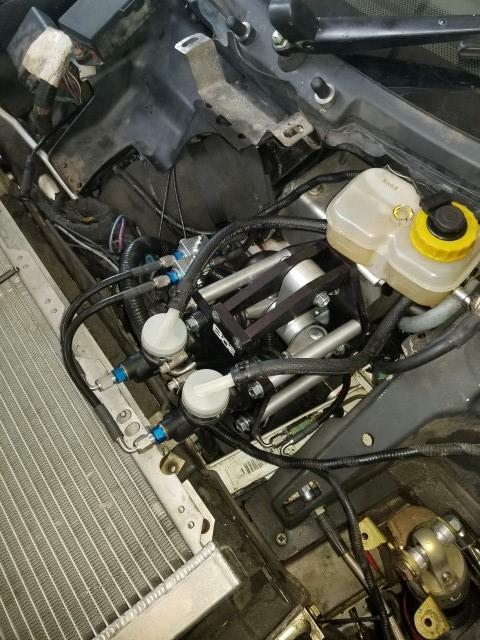 First is what you get: A really well made brake cage, with ports for brake pressure data, and well made brake hoses that fit well into the existing fittings. There are a good enough set of install instructions you get with it, but I had a few things to add to them after installing it in a car with HVAC and as stock as possible, on a stock car you need to slightly relocate the filter drier on the AC and cut the plastic shroud on the Exige for the end of the masters and hoses to have clearance. Then you can cut a small hole in the plastic on the passenger side of the firewall for the balance knob connector (you can see this in one of the pics below). The feel of the brakes is COMPLETELY different, you have MAX 1" of travel on the pedal and the braking is all done by pressure not movement, and best of all you can really trail off the brakes nicely, I think this will be worth a ton of time. I will update this with more once I have tracked the car. 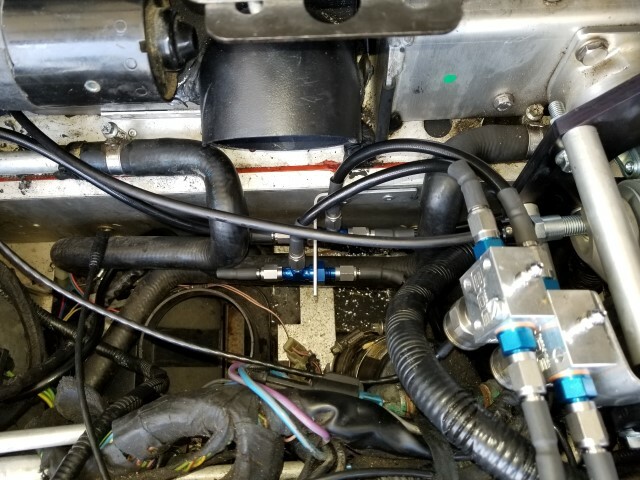 -Get the bolts on the pedal rod loosened before you install it then get the rod close to the right lenth before you tighter everything up incase you cant reach one of the nuts. Below are some pics of the install and finished product. Sorry the car is so dirty, it has 80k hard miles on it. Track, winter, crossed the ocean 2x, daily driver etc. Where I ran the bias bar and brake sensors through the firewall. I then filled the gap with silicone. Where I mounted the brake lines to the firewall. Also the really nice sensor mounts and the ports to "bench bleed" the masters once installed. Make sure you use these vs bleeding the whole thing at once. thebuzzard, ERDoc74 and Falsey like this. 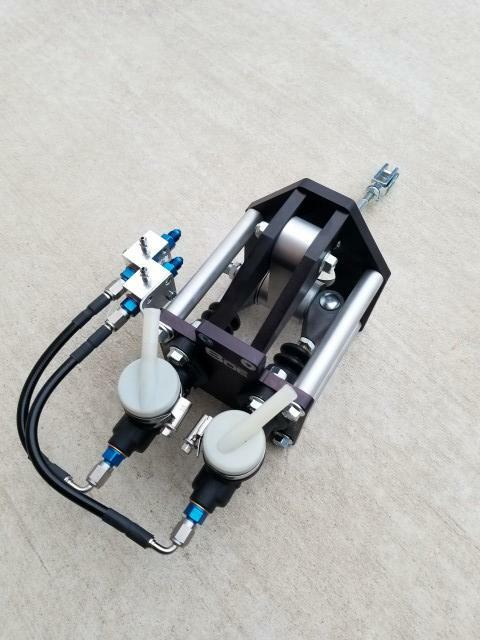 I'm very interested in reading why you had chosen to bolting on such a complicated (Rube Goldberg-ish) gadget when there is a very elegant, bespoke, simple, lightweight pedal box available from Pilbeam Racing. Plus, it stiffens the whole pedal box area for much better feel. Do you have one installed? Pilbeam Racing is kinda flaky. I have sent email questions about there products and get no response. 3. Easier install because kit includes all the hoses etc. 4. Maybe I'm not good enough to notice but it's still plenty stiff. Last edited by kfennell; 08-06-2017 at 05:58 AM. Arrogant companies who don't want to "waist" time talking to potential customers lose my business every time. Butters, Gokart3, me73 and 2 others like this. Performance is first on my list...everything else is a long way away in 2nd and further. I guess everybody has his priorities. We have several racers that claims our brake cage is the best mod they've ever made to their cars. I agree that it id really good. As you get into it. Youlll find the front/rear pressure traces are repeatable, illustrating how rigid the box is. I had the pilbeam part on the desk before we built the cage. Decided against installing it in my car for a variety of reasons. It's not a terrible part, but the tiny bias bar, the installation effort, and general play in the system didn't get me excited. I have seen some data from the pilbeam setup and it's ok... ours is better though. Last edited by turbophil; 08-06-2017 at 06:45 AM. ERDoc74 and Falsey like this. I don't get it, how is it possible that the most prevalent pedal boxes for Lotuses in Europe have "tiny bias bars" and yet be the winningest pedal boxes if they flex? How can the Pilbeam pedal box have more "general play" when there are no extra linkages? countryboyshane and ERDoc74 like this. Did you keep the ABS, or remove it? What's involved (either way)? acslater and ERDoc74 like this. Default is to remove it, I don't think you would want ABS still if you are considering this mod, but I think when I was ordering they might have mentioned it was possible? Have to ask Phil. 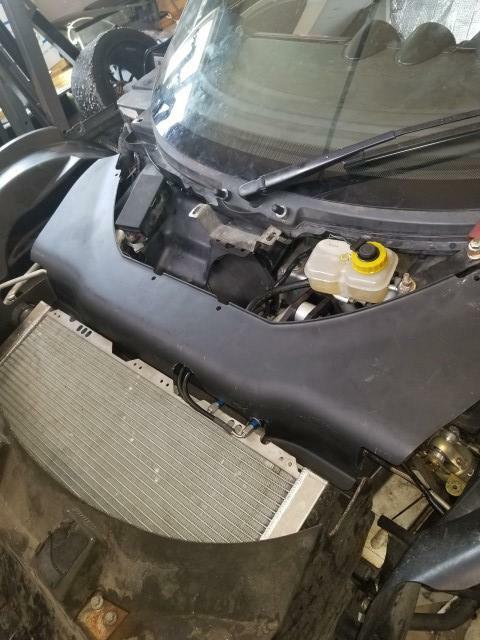 Note that this is a serious "racecar" mod and I wouldn't suggest doing this if you are regularly needing ABS by driving in bad conditions etc. The pedal effort needed to stop at a stoplight is now quite high so it's only barely street-able. No doubt. JJ can't help himself and the mods can't seem to keep him banned. AP- I can't speak for every installation, but the ones we have done here have all been with deleted ABS. It CAN BE DONE with ABS, but I don't think the Lotus ABS is the right setup. It has so many issues from the onset, and part of the point of a fully adjustable brake setup like this is that the ABS becomes second fiddle by comparison. My suggestion is to ditch the ABS. I don't mean to belittle a true motorsports ABS system that is completely tunable, but lets face it: The hardware is just the beginning with a Bosch MS ABS. Then you have to tune it... The cost in both time and dollars gets cubic. Our brake cage is pretty sweet. Designed by us specifically for the Lotus, it's about as PNP as it gets. Remove brake booster and install this in its place. The plumbing is all done for you. You get to keep all the picky DBW throttle components, clutch, etc in place. 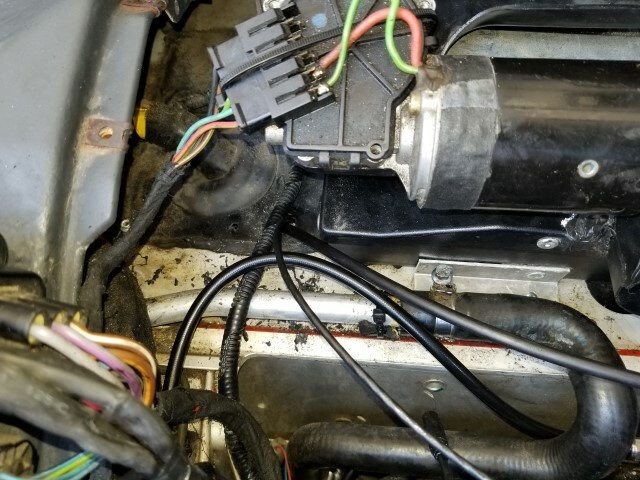 For most, they will take the ABS computer off the manifold and fix it to a convenient place up front. On the cars we do, we leave it basically where it was, but sans the ABS manifold/motor/lines/etc. From a hardware standpoint, it's way over engineered to be rigid. for a biasing system to work great, deflection has to be taken out of the equation. this is part of the issues the Pilbeam setup has in that all the critical components are fixed to sheet metal. It also uses a tiny biasing bearing. On the other hand, with a cage like this, the critical points that want to go every-which-way are contained within an extremely rigid "cage". The key pivot uses a huge bushing when compared to what comes from Porsche and other cage systems in motorsports. We have these all over the globe now and are used here in the US in SCCA AX, NASA, and track days. It really is fun and empowering having the brakes act like they should. Oh come on! Sounds like you just need to work out a bit! Serious note, on the track, you'll really appreciate the leg feedback. Recall I asked you about running the Radical CP9444 calipers on the EP GT uprights , but you advised not really possible due to 130mm Radial mounting positions on the EP Upright. I had a look at machining the uprights but Geary at EP advised against it . Wondering if it would be possible to run CP 5040 [ Radial Mount 130mm ctrs / to suit EP Uprights ] front and rear using your 288mm disks and Brake cage . Note: CP9444 have 2 x 34.9 & 2 x 41.3mm pistons against the CP5040 at 4 x 38.1 mm pistons . Also I am running the Bosch M4 ABS , what mods need to be done to the cage to make it work ... if any . Don't get me wrong, I think it's going to be right for the track for sure, some stops from ~80 ON re-71R's to get the bias close and test things out proved that nicely. I like how you can modulate the brakes so nicely between 50-100 lbs of pressure or so, but not everyones wife is going to love driving this on the street, just how it has to be though. the piston diameters are not a big deal since you can "tune" the biasing infinitely. Of note, the 5040s are going away, or so I'm told to be replaced by radi-cal in 9444/5 range like I use. That may not be good info, but my AP rep mentioned it... Also worth mentioning, I'm not certain the 5040 will fit a 15" wheel.